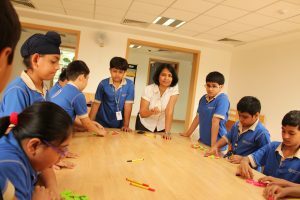 Here’s how Kunskapsskolan’s KED program does what very few CBSE schools do – personalize a mainstream curriculum and bring an international outlook to the mix. Kunskapsskolan, the renowned Swedish group of schools, is now also opening its doors in Bangalore in 2017. Promising K12 education that will be a rich blend of innovative teaching methods and the CBSE curriculum, there’s so much to look forward to when April comes around. Their schools in Gurgaon (Kunskapsskolan Gurgaon, Kunskapsskolan International) and Lucknow have been earning laurels for their work in the education sector. Known for its state-of-the-art learning facilities, the highlight of the school is its remarkable KED program, which offers great learning opportunities for students by personalizing the mainstream CBSE syllabus. Just what is the KED curriculum and why should you be so excited about what it has to offer? It starts with the student. That is probably the best part of the KED program. What is beautiful about this approach is that children go at their own pace, take ownership of their learning, choose goals they can achieve and enjoy learning the subject in their own way. With no more than 22 students a class, this is perfectly possible and here’s how they do it. While a traditional CBSE school standardizes the syllabus, Kunskapsskolan takes a novel look at the core of learning itself. In the KED program, a student’s individual learning abilities and strengths are identified, strategies are developed to help them grasp the curriculum in their own manner and all of these are incorporated into a personalised learning plan. Through a personal learning coach (NOT to be confused with tuitions or remedials), the facilitator arrives at a comprehensive plan to help the student with his or her goals. Many learning strategies go into this plan – cognitive psychology, for instance, forming an integral component among others. We loved this bit about the KED program which makes the learning process a collaborative set up among the teachers, parents and the students. Students use the Educational Documentation System (EDS) on the learning portal which gives a real-time insight to the student’s learning progression. The 3 hierarchal levels that a student must use in order to master a subject is aligned to the Blooms Taxonomy. Each child is helped to progress from level 1 to level 3. To put it simply, what this means is that if a child performs well on the first level, he/she can do reasonably well in the CBSE exams. If they are on the second level, they can achieve higher grades and on the third level, they know that they are doing extremely well in a subject. There’s a bonus feature to the portal that you’ll all love. Parents can access it too! With the right feedback, they can gauge where the child stands and support them accordingly. The student can send their work to the teachers in a subject and the teachers can then send feedback. The learning portal makes sure that the student, teacher and parent are on the same page. 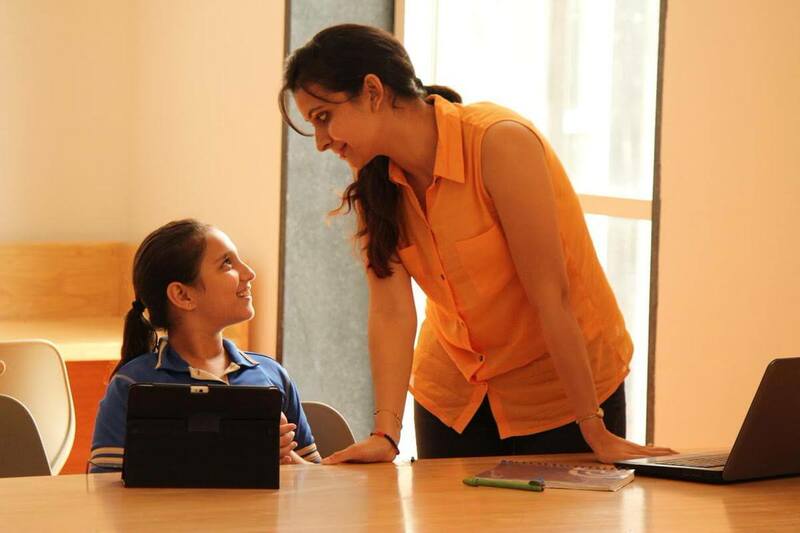 There are two types of curriculum on offer on the portal, the CBSE and the IGCSE. Students can opt for IGCSE after grade 7. The system works very gradually and after grade 4, children are able to do more with these three formats. After grade 6, children write one-hour exams and this increases to two-hour exams in grade 7. The focus early on is placed on building high order thinking skills together with a foundation for analytical thinking. This helps them later when they have to approach exams. Was the curriculum made accessible to the student? Should there be a new plan for the student? Similarly, Kunskapsskolan uses the Logbook to keep track of the student’s learning journey – weekly and monthly goals, plans, progress and reflections. Why the KED program is a success is because it trains the spotlight on becoming a great learner and a learner for life. Doing this with a personal touch is what Kunskapsskolan achieves effectively and aims to replicate this success in their Bangalore campus very soon.